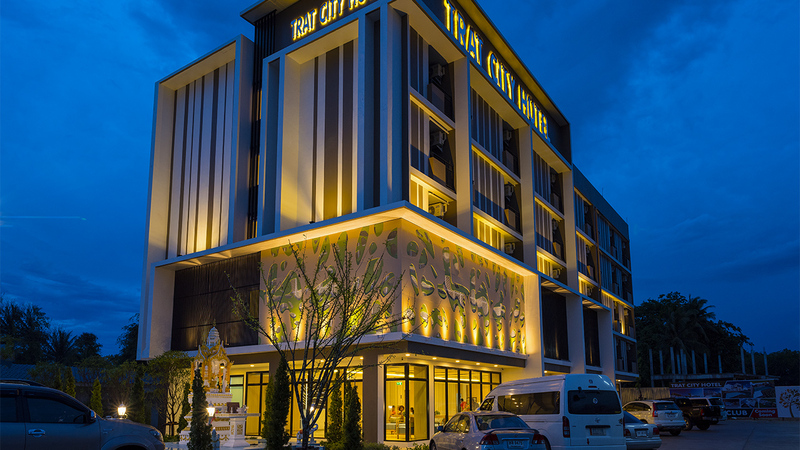 Is newly opened 3-star hotel located at the centre of Trat town. This contemporary hotel is ideal for both leisure and business travellers, and also for conference groups. Every room is decorated stylishly and luxuriously, ensuring the highest level of comfort and tranquility for each guest. All room types are provided with flat-screen TV, Telephone, Mini bar and Shower with water heater. There is free unlimited Wi-Fi access available in the rooms and also in the public areas. We also have a spacious parking lot. Enjoy the extensive a la carte and buffet menus available for all our guests. 2016-2019 © Trat City Hotel All rights reserved.